Abraham is senior scientist and director, Armauer Hansen Research Institute, Addis Ababa, Ethiopia and secretary, Health Working Group, Ethiopian Academy of Sciences. He obtained his MD from Gondar College of Medical Sciences (Addis Ababa U.) in 1984 and his PhD in Medical Microbiology from the U. of Leipzig, Germany, in 1990. He is Chairman of the National Tuberculosis Research Advisory Committee (TRAC) in Ethiopia, member of the interim Strategic Advisory Committee of European and Developing Countries Clinical Trials Partnership (EDCTP), chairman of the Pan African Bioethics Initiative (PABIN) and founding and steering committee member of the Initiative to Strengthen Health Research Capacity in Africa (ISHReCA). 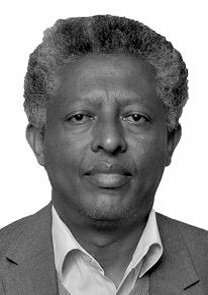 His prizes include Gold Medals of Merit from the Ministry of Health of Ethiopia (2013), the Ethiopian Medical Association (2011) and Ethiopian Public Health Association (2003). Keywords	 Infectious disease epidemiology; immunology; Tuberculosis; Leprosy; Leishmaniasis; Meningitis; HIV; Malaria.